We’ve been delivering quality chiropractic care to the Lebanon, Dauphin, Lancaster, and Cumberland county areas for over 22 years. The office was opened in 1985 and continues to serve people in an area that exceeds a 75 mile radius. Our office not only delivers care to practice members of all ages, but is committed to bring new people into our family of wellness seekers. We guarantee same day appointments. 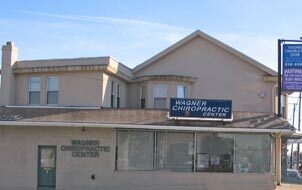 Dr. Wagner is often able to diagnosis the immediate problem and begin care of the area of complaint on the first visit. Sickness care is necessary in the beginning to establish good health and then wellness care is recommended to maintain that balance in the body that is so valuable to overall wellness. Your body is your most vital piece of equipment! Natural Health Consultation – The goal of Naturopathy (Natural Health Care) is not disease treatment, but to teach and educate you how you can develop optimal health. Urine and saliva testing, detailed health and symptom surveys, food based supplementation, detoxification, pure water, clean air, and stress management are all used to analyze your status. The goal is helping your body create conditions where you can maintain vitality and heal on its own. Modern Chiropractic Care – Gentle care is applied to areas of dysfunction after careful detailed analysis of your spine. Information gained from x-ray analysis, balance / posture observation, and hands-on procedures are used to balance your nervous system and well-being. Whether you are in pain or not, or sick or not, your body functions better when it is in the proper alignment. Tytron scanning – Noninvasive technique to pinpoint areas of asymmetry, the key to rendering proper chiropractic care. Posture ball – (Yamuna) Used to release joint and muscle tension in hard to reach places. Also promotes balance and good posture. Arthrostim – This instrument delivers a specific stimulus to help the tissues heal and balance more rapidly. Very effective for pain relief. Acupuncture and Massage – Licensed therapists on staff with 40 years combined experience. Both aid in the restoration and maintenance of good balance, posture, and structural integrity. Muscle Testing Explained – Weaknesses are interpreted as areas of need, areas wherein the body may require cleansing, strengthening or repair. Clinically, after one to three months of nutritional support, specific for the target system or organ which is identified as weak, the reflex point no longer can be defeated by a challenge test, and usually there is improvement in the individual’s state of health and symptoms associated with that particular function in the body. There are many ways to strengthen a particular weakness, such as nutritional supplementation to enhance function in the specific area of need, lifestyle modification to unburden the physiology, chiropractic to influence the nervous tone and energy reaching the tissue, and acupuncture to remove blockages in the normal flow of energy through the meridian pathways of the body. The degree of accuracy is remarkable and best seen in the results achieved, and the speed of achievement, by experienced practitioners skilled in this approach.